But Pence is merely the beginning. It gets worse. Among the first people Trump reached out to for Secretary of Education is Jerry Falwell, Jr. Falwell runs Liberty University. Their Earth Science department is actually a Creation Studies department. And they’re not in the Old Earth camp. Liberty University’s Center for Creation Studies is a dynamic, teaching-based academic center. Our purpose is to research, promote, and communicate a robust young-Earth creationist view of Earth history. Beginning with sound Biblical interpretation, we seek to understand how science can inform us about God’s magnificent creation. The Center’s activities are wide-ranging, both within and without the campus of Liberty University. In addition to our two courses (CRST 290 and CRST 390) which serve LU students, we regularly sponsor prominent speakers representing young-Earth creationism and Intelligent Design to the LU community, provide in-service lectures to LU faculty, and produce informative museum displays on young-earth creation. Our faculty are also regularly requested for speaking engagements both locally and far beyond, with invites from schools, organizations, and churches from California to Canada. The purpose of the Center for Creation Studies is to promote the development of a consistent biblical view of origins in our students. The center seeks to equip students to defend their faith in the creation account in Genesis using science, reason and the Scriptures. So. Trump’s first pick to oversee our public education was a young earth creationist whose private Christian college teaches that Genesis is literal history and the earth is less than ten thousand years old. If you want to get an idea of the havoc that wreaks on earth science and the study thereof, I encourage you to read my reviews of Christian creationist textbooks. These are the ideas that are taught in such a curriculum. Do you think a man who promotes those ideas would do a good job ensuring public school kids get an accurate, science-based STEM education? And before you breathe a sigh of relief thinking that the Dover verdict prevents public schools from teaching such schlock, remember that Trump is going to be able to appoint at least one and possibly several Supreme Court justices. The chances of his people protecting science education are virtually zero. Falwell ultimately decided not to take the job – not because Trump is a con artist and authoritarian bully, but because his family didn’t like it. But Trump loves him, and you can bet he’s going to have a direct line to the Oval Office any time he wants to discuss “reforming an overregulated government system that he believes micromanages colleges and universities.” This should chill anyone who believes America needs strong public schools, colleges, and universities. So Trump went with his second choice: a conservative Christian billionaire who also loves charter schools and vouchers for private (including religious) schools. She pours money and support into anti-evolution Christian schools and organizations like Grove City College and the Willow Creek Association. Betsy DeVos has been a disaster for education in Michigan. Now, she’s being given the chance to push that failure of an agenda nationwide. And make no mistake: she is pushing to have Christianity displace secular schools in this country. She has been pushing that goal for decades. And she wants our tax dollars to fund it. 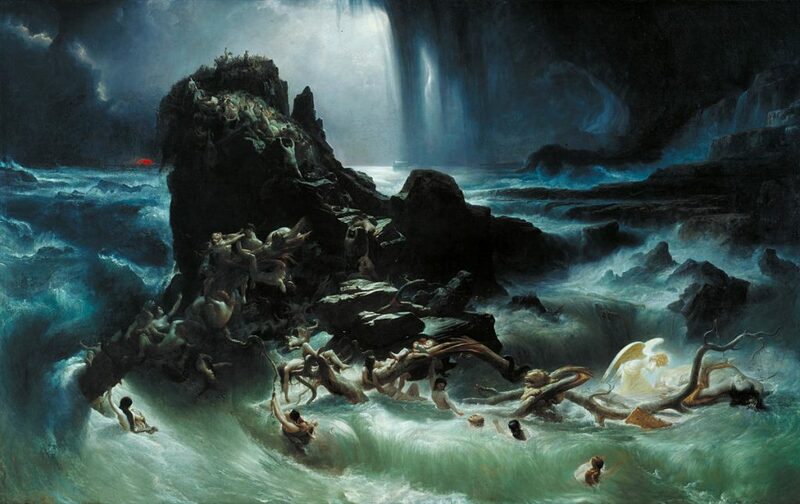 The Deluge by Francis Danby. If Trump’s education picks have their way, the Genesis Flood will be taught as a historical event and actual Earth science in America’s classrooms. If you’re horrified, you need to get involved. 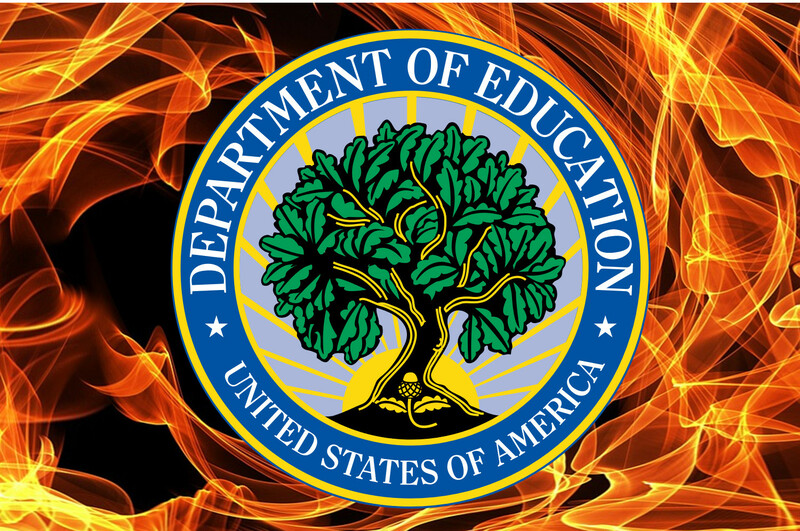 There are a lot of ways you can help protect America’s schools from the worst excesses of the Trump regime. Support groups like the National Center for Science Education and the ACLU who will be fighting against anti-education policies. Volunteer with local and state groups devoted to ensuring the best possible science education for our nation’s kids. Vote in your local schoolboard elections. I can’t even begin to emphasize how important it will be to ensure the people running your local school district are devoted to appropriate STEM education. There will be many other opportunities to help, whether you’re mentoring a student or marching in a protest. Stay informed, stand ready, and fight for STEM. A version of this post first appeared at Rosetta Stones. Betsy DeVos’s remarks about public schools displacing the church and her goals for public funding of religious education have been added.